New archaeological findings. Ongoing conversations about history. Challenges to what has been accepted about Biblical texts. The two volumes of the Old Testament Dictionary Collection give you up-to-date scholarship on foundational concepts and timely debates about the Hebrew Scriptures. Shed new light on your Old Testament Study with this Up-to-Date and Critically-Acclaimed Two-Volume Dictionary Collection! New archaeological findings. Ongoing conversations about history. Challenges to what has been accepted about Biblical texts. 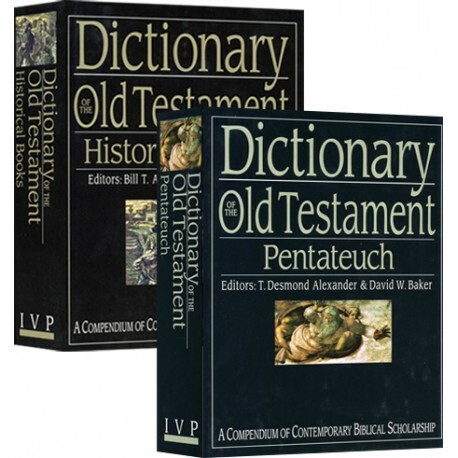 The two volumes of the Old Testament Dictionary Collection give you up-to-date scholarship on foundational concepts and timely debates about the Hebrew Scriptures. You get hundreds of in-depth articles from hundreds of expert scholars around the world sure to aid your study and research, equip your preaching and teaching and enrich your understanding of the Old Testament. 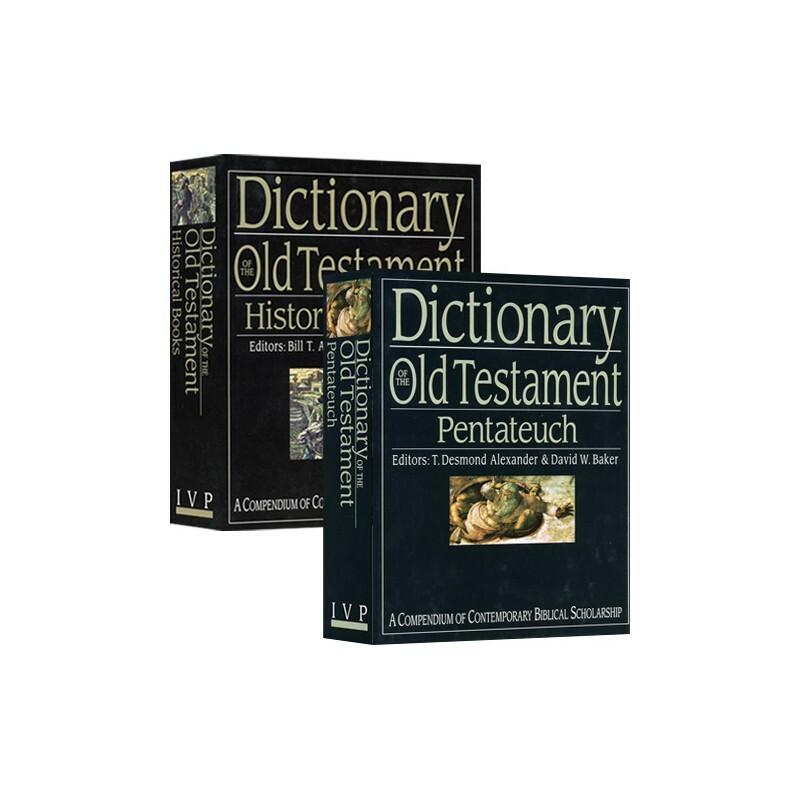 The Dictionary of Old Testament: Pentateuch is designed to be your first stop in the study and research of the first five books of the Bible. This encyclopedic work is characterized by close attention to the text of the Old Testament and the ongoing conversation of contemporary scholarship. In exploring the major themes and issues of the Pentateuch, editors T. Desmond Alexander and David W. Baker, with an international and expert group of scholars, inform and challenge through authoritative overviews, detailed examinations and new insights from the world of the ancient Near East. Edited by Bill T. Arnold and Hugh G. M. Williamson, the Dictionary of the Old Testament: Historical Books (DOTHB) picks up with Joshua and Israel poised to enter the land and carries you through the postexilic period. Rather than being a dictionary of quick answers and easy resolutions readily provided, the DOTHB seeks to set out the evidence and arguments, allowing a range of informed opinion to enrich the conversation. In this way it is hoped that the DOTHB will not only inform its readers, but draw them into the debate and equip them to examine the evidence for themselves.